Usted está aqui: TraCPlane Presentación» F.A.Q. ¡He instalado TraCPlane pero sólo hay dos perfiles en el programa! - After a fresh install on a new PC, TraCPlane generates a new código del programa, just ask me by sending me the new code by copy-paste (the code should look like 45DF89A76A5F7D2D_TP_1.9.0-H - NO screenshot) and version number generated by TraCPlane . 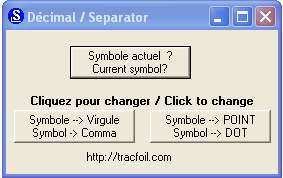 - After formatting or change the hard drive, the TraCPlane generates a new code, just copy the file TraCPlane.lic generated by TraCPlane at the first install. Otherwise, ask for a new key by sending me the new código del programa by copy-paste (the code should look like 45DF89A76A5F7D2D_TP_1.9.0-H - NO screenshot) and version number generated by TraCPlane. - Send me the código del programa copy-paste (the code should look like 45DF89A76A5F7D2D_TP_1.9.0-H - NO screenshot) ask for a new key, and I give a free new key. - Es suficiente pedirme una nueva clave de registro, senviándome el nuevo código (copiar y pegar captura de pantalla NO!) y N° de version del programa generado por TraCPlane. Just send me the código del programa copy and paste (the code should look like 45DF89A76A5F7D2D_TP_1.9.0-H - NO screenshot) of new PCs, indicating the version number, and I give a free new key. - All the registred users received a mail when there is a new major update. Updates to TraCPlane are free and are posted on web site in the form of an update file, majTraCPlaneH.exe. The link to download this file is on the mail registration send with the code. Usted se beneficia gratuitamente de las próximas versiones que se produzcan en el futuro. Estas nuevas versiones son distribuidas por los servidores WEB, comprimidos bajo la forma de un fichero majTraCPlaneH.exe. With a PC connected to Internet, go to the download page, download the trial version ctrafoilH.exe and "Free Pack Airfoils"(airfoils). 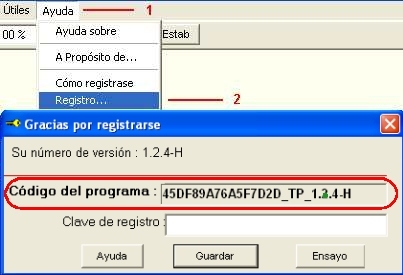 Then copy the files on a USB key or on a CD and make an installation on the PC not connected to the internet, then send me the código del programa copy-paste (the code should look like 45DF89A76A5F7D2D_TP_1.9.0-H - NO screenshot) ask for a new key. Go to this menu ? (Help) and Registration : Copy the código del programa, (the code should look like 45DF89A76A5F7D2D_TP_1.9.0-H - NO screenshot), and the version number of your dialog box "Please register"
TraCPlane utiliza los ficheros disponibles en la Web. Tele cargar el "Free Pack Airfoils", los perfiles de mi página WEB Perfiles.